Why do Capetonians braai on Heritage Day? Heritage Day is a South African public holiday that is celebrated on the 24th September. On this day citizens across South Africa are encouraged to celebrate their culture and the diversity of their beliefs and traditions. Across race, language, region and religion, we all share one common love and that is a good old braai. Heritage Day is called many things: Chisa Nyama, Braai and Ukosa just to name a few. Although the ingredients may differ across SA, the one that never changes is that when we have something to celebrate we light fires, and prepare great feasts. Before 1995, when the date was made a public holiday it was known as Shaka Day in KwaZulu-Natal, to commemorate the Zulu King Shaka. 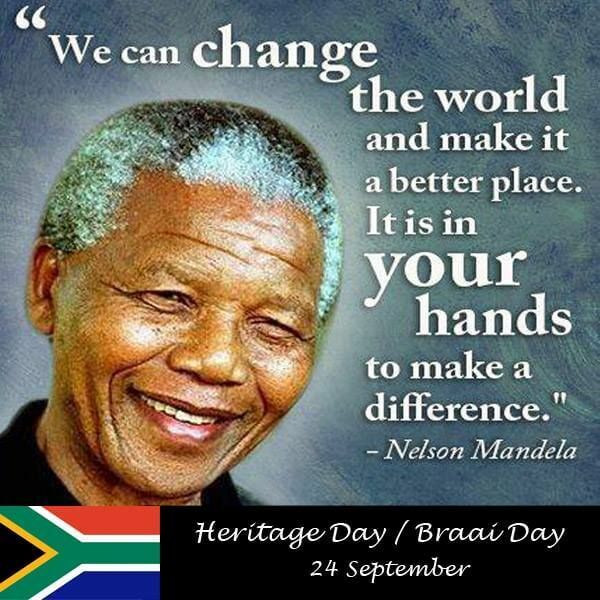 In 2005, Heritage Day was rebranded as National Braai Day. The media campaign aimed to recognise the South African tradition of the braai as something every South African is able to relate to. In September 2007, Archbishop Desmond Tutu was appointed at the patron of South Africa’s National Braai Day- calling it a unifying course in a divided country.